Brand new 33 sq.m. 1 bedroom condo on the ground plus 33 sq.m. private gardens is available for RENT now in the City Center!! 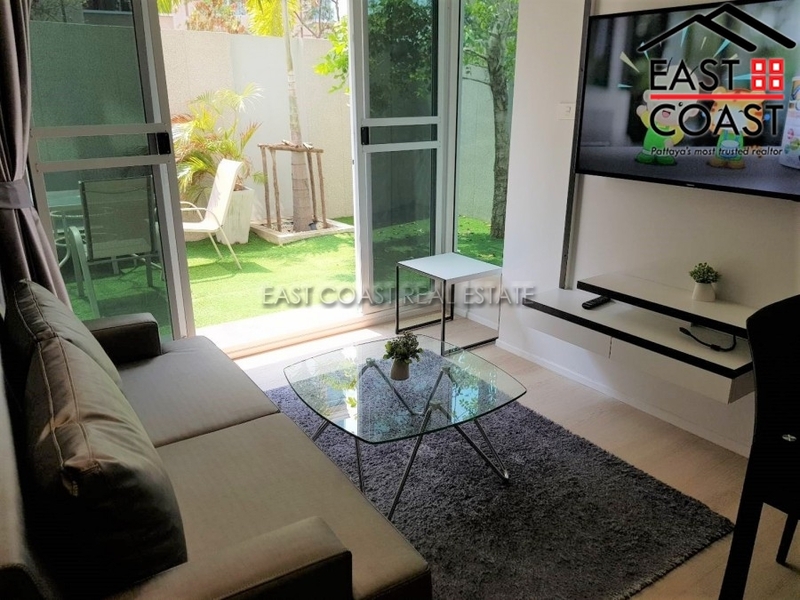 It comes fully furnished with built-in European kitchen and all electric equipments, open plan lounge area with direct access to big gardens. King sized bedroom with built-in closet, dressing table, safety box. Fitted bathroom with hot water shower. Air-conditioning throughout, front load washing machine. 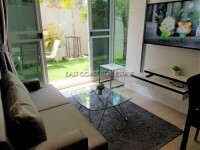 Maxxcity is a new low-rise condo in Central Pattaya, located in Soi Arunothai, close to everything i.e. super markets, fresh markets, shops, restaurants and etc. The building provides key card system, covered parking space, rooftop swimming pool & gym, sauna, rooftop gardens. It is available for rent long term with 2 month holding deposit. A MUST SEE - Call us today for viewing!